So your dryer shat the bed. Now the horns of an enema confront you: spend the yen to repair your energy hog clothes dryer or buy another keg of Old Milwaukee. Yeah, life is full of tough choices like that. Well, Hoss, tell you what I’d do: I’d scrap all the old parts out of that broken dryer and sell ’em on eBay. 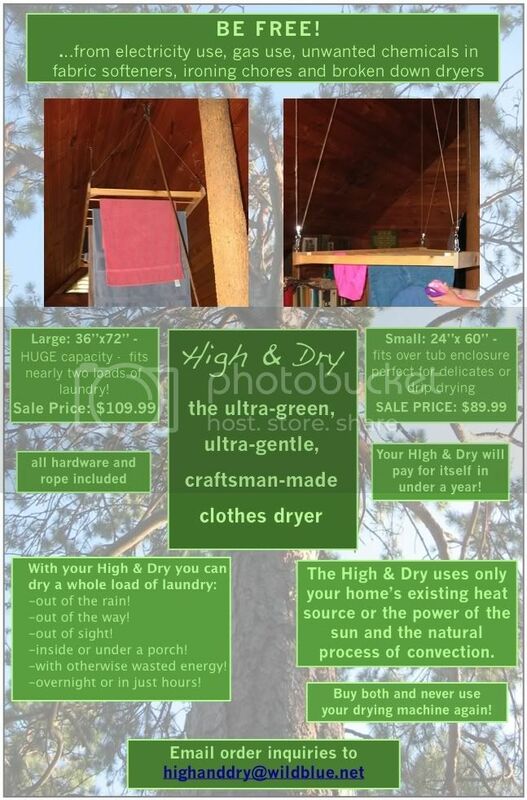 Then, with some o’ dat dinero I made on eBay, I’d git me a slick new High & Dry and never have to worry about a broken dryer again! 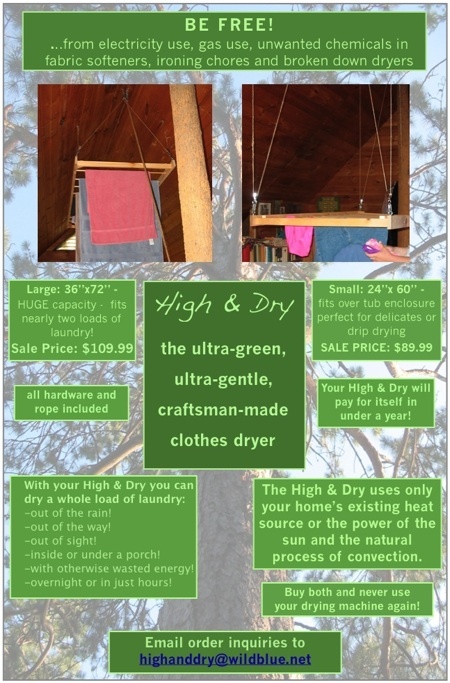 For more information about the revolutionary new High & Dry, send an email to Talia at highanddry@wildblue.net. This entry was posted in Dryer Repair on March 18, 2009 by Samurai Appliance Repair Man.